More and more people want to learn how to patchwork quilt, it’s a “trending” craft according to Google! There’s an overwhelming amount of info out there and there’s no definitive answer, however, first of all you should know some essentials. Fabric – There are different layers to consider when choosing fabric, read this guide for more information on choosing fabrics for quilting. 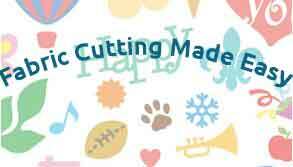 Cutting – First understand what a rotary cutter is and how it can help. You can also use a fabric cutter which will quickly cut set shapes. Whatever you choose make sure to do some cutting practice first on scrap fabrics. Quilting terms – become familiar with quilting terms and what they mean. For example, do you know what a quilting ruler is, or what batting is? Check out my glossary, there are simple explanations for each term. 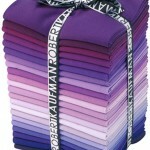 Learn about color – use a color wheel to see which colors blend well together. 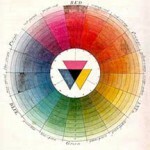 Read an article about basic color theory to make sure you have a bit of understanding about how colors work together. Keep it simple – start off with simple blocks and patterns before you move on to making a whole quilt. Other sumptuous projects for the home. There are step by step, easy to follow instructions with clear diagrams, great for beginners. There are instructions for different kinds of piecing such as strip piecing and paper piecing. Applique is also covered and you can learn about the different types such as needle-turn, reverse, inlaid, shadow and more. 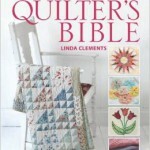 Suffice to say, The Quilters Bible is an excellent book for beginners and experienced quilters! 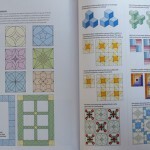 If you’ve been Googling about quilting articles then you’ll have heard of Fons and Porter “Love of Quilting” magazine. They have a You Tube channel with some great videos; this is just one of them with tips for the essential items needed if you’re just starting out. And lastly, do a search for simple quilting projects; there are plenty to be found with a Google search. 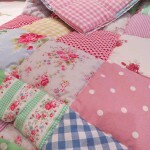 Have a look at Rosie Buttons tutorial for how to make and easy quilt for a bed. There’s also a really simple tutorial for a baby’s pram quilt, check out “How to Patchwork Quilt” over at Upcycled Baby Clothes. I LOVE this website !!! I remember my Mother’s patchwork quilting. … the amount of work that goes into making one of these “pieces of art” is huge, but the end result was nothing short of astounding. She use to have her quilting group over to the house (when it came to being her turn), and to see a wide array of personal style and technique was like eye candy. How lucky you are to have those memories of your Mothers quilting group, it must have been wonderful to see. 🙂 I’m glad you enjoyed your visit, do you do any quilting or sewing yourself?